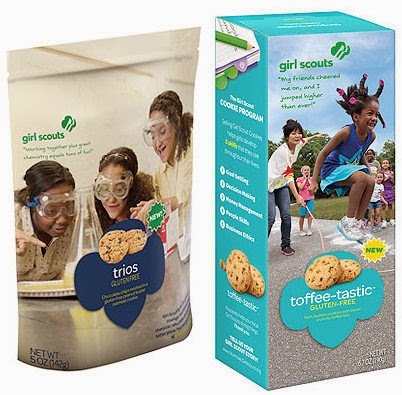 When Girl Scout troops are hawking their irresistible cookies in front of local supermarkets and all-office emails are sent around when a coworker's daughter is selling cookies, you know it's that special season: Girl Scout cookie time! For years celiacs and the gluten-adverse have had to skip out on this annual frenzy, but in recent years, gluten-free cookies have been introduced so that everyone can join in on the fun. Made with care to ensure they truly are free from gluten, these gluten-free cookies come with an added bonus of boosting girls' business skills- what more could you ask of a simple cookie? The only downside to these gluten-free Girl Scout cookies is that they are not dairy-free, which is why this post is less of a review and more of a PSA. I hope in the future that the Girl Scouts (and the bakeries that create these much sought after cookies) roll out more allergen-free options to continue to expand the number of people who can enjoy the simple pleasure of a safe cookie. The inevitable question when putting "gluten-free" and "Girl Scout cookie" together is this: Are they actually gluten-free? Like celiac-safe? The answer is yes. From my research, both of the official gluten-free Girl Scout cookies (Toffee-tastic and Trios) have been certified as gluten-free. While having two varieties is awesome, note that each council (region) sells only one of the gluten-free varieties. Where you live depends on which bakery supplies the cookies for your region. Find out how to buy Girl Scout cookies in your neck of the woods right here. Described as indulgent, buttery cookies with pieces of golden toffee bits, these cookies have been certified gluten-free by the NSF (National Sanitation Foundation). They meet the FDA guidelines for gluten-free food, and have the NSF logo on the side of the package. As an additional note, these cookies are certified Kosher dairy. 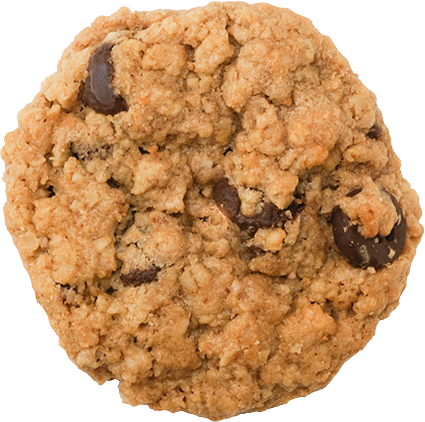 While gluten-free, these cookies are not allergen-free and do contain dairy and soy. For more information, click here to see their packaging and ingredients. For folks who live in an area where ABC Bakers is the bakery of choice, Trios will be the cookie available to you. These oatmeal cookies are chock full of chocolate chips and peanut butter. These are certified as gluten-free by the Gluten Free Certification Organization and test below the 10ppm standard to earn this accreditation. Like their cousin, these also are certified Kosher. Allergens in this cookie are milk, eggs, soy, and peanuts. I am so bummed I cannot join in on the gluten-free Girl Scout cookie fund, but I hope someday they increase the number of gluten-free options, and create cookies that are free from top allergens. In the meantime, leave you reviews of these gluten-free cookies so I can live vicariously through you!